WOW! DEAL! 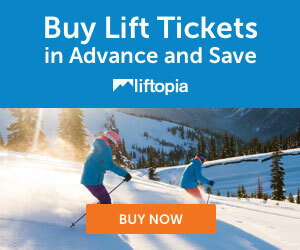 One to three day discount ski tickets for Snowbird for up to 52% off! Check out our great Hotel picks and by owner vacation rentals for Snowbird! 20% off at the base at Christy Sports if you book ahead at Alta/Snowbird!more! 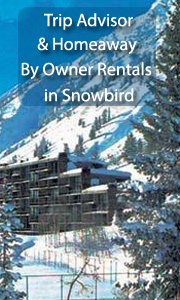 We offer discounts on ski tickets, ski rentals, lodging, by owner rentals, and apres ski ideas for Snowbird, Utah. 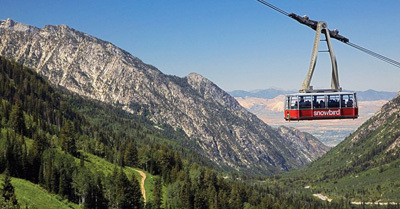 Snowbird Ski Resort is located in the Wasatch national Forest of Utah, in Cottonwood Canyon. Take the giant tram up to the top in the morning and it will take half a day to get back down... no wasting time on lifts. This is a powder lover's dream, and there are great restaurants and hotels to boot. I have great memories of this mountain! WOW! DEAL! 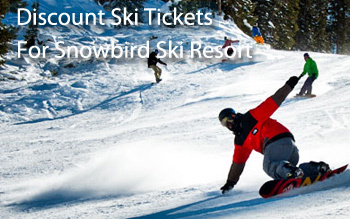 One to three day discount ski tickets for Snowbird for up to 52% off! See all our great Snowbird Hotel listings! 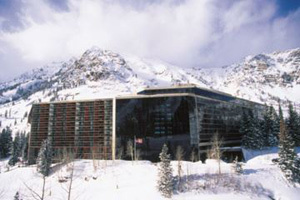 Featured: The Inn at Snowbird - Snowbird Ski and Summer Resort- Book it! "Not only does the beauty of the mountains attract me to visit here often, but the staff and all that Snowbird has to offer makes the trip priceless. Year long, you will never be bored while vacationing here even if its only for one day. See All our Handpicked By Owner Vacation Rentals in Snowbird Luxurious Upscale Studio Condominium With Spectacular Views-SLEEPS 2 -1 bdrm 1 bath-ave nightly rate is $262 - Book it! VRBO - 501202 - This luxurious studio condominium comfortably sleeps 2 and is located in the highly desirable Blackjack Lodge in Alta. An elevator provides easy access to the condo on the 3rd floor. 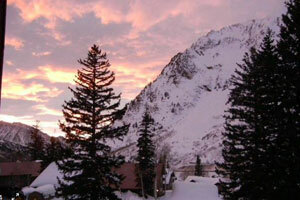 Blackjack Lodge is ideally located between the Alta and Snowbird ski resorts. You can ski-in and ski-out to Snowbird, depending on snow conditions, and ski home from Alta if you are comfortable skiing off piste and know the way home. A free ski shuttle runs between the lodge and both Alta ski area bases daily from mid-December thru mid-April to get you to and from the slopes. Dining options abound and are only minutes away at either Alta or Snowbird. If you don't feel like driving, or shuttled up from the airport, for a small fee 'Canyon Transportation Inc' can provide you with transportation between the Blackjack Lodge and the resorts from 5-11 pm. It’s literally just a few minutes drive to either resort. Whether you rent a car or drive to Alta in your own vehicle, 4 wheel drive is recommended as Little Cottonwood Canyon is often restricted to 4 x 4 or chains during a storm cycle which is why Alta is 'Rated #1 for Snow' year after year in major ski publications like SKI and POWDER Magazines. Apres Ski Ideas near Snowbird!